Translation Services near Montreal | INVISIBLE Translation Inc.
Our team consists of versatile language professionals recognized for the very high quality of their work, who provide you with a full range of language services to meet all your written communication needs. Here is an overview of what we can do to make you shine on the local and international stage. Our team of professional translators can produce outstanding translations in French, English and Spanish. Whether you need a translation of an annual report, press release or sales sheet, we make it our duty to maintain the essence of your texts while effectively transferring your message into the desired target language. Your written communications therefore will bolster your credibility and your reputation for excellence. Our firm relies on the expertise of certified translators, language professionals whose qualifications have been sanctioned, in particular by the Ordre des traducteurs, terminologues et interprètes agréés du Québec. In Quebec and across Canada, only certified translators are authorized to translate documents issued by official authorities and affix a seal to these translations attesting to their validity and official status. Our team therefore is fully qualified to translate your academic transcripts if you plan to study abroad, or your driver’s licence or marriage certificate, if you have just arrived in Canada. Transcreation involves translating and adapting carefully crafted promotional and advertising material, to make it credible and convincing in another language and in the eyes of another culture. Our work does not consist of replacing words with equivalents in another language, but instead entails producing a creative, engaging adaptation that will resonate with the target audience. Our most creative language professionals, in conjunction with our written communication consultants, will ensure that your slogans, product names, packaging and marketing brochures achieve as much impact in one language as the other. Our professional editors know how to take your written communications to a higher level by analysing them with a critical, vigilant and attentive eye, to make any necessary improvements. Even the best writers overlook typos and other mistakes that can affect comprehension of a message or weaken its content. Nothing is better than a thorough editing to ensure that your texts are ready for publication and will crystallize, rather than tarnish, your valuable brand image. Comparative revision is an essential stage in the quality assurance process, which involves placing the original document and its translation side by side to gauge the suitability of the translation, sentence by sentence. During this analysis, the reviser pays critical attention to the translation and improves weak passages, while correcting errors that may have been overlooked by the translator or editor. The reviser also ensures that the translation complies with the many linguistic norms, to guarantee that the bilingual documents you publish reflect your diligence and professionalism. As the last stage before printing and disseminating your text, proofreading catches any error (alignment, grammar, spelling, typography, syntax, etc.) that may have slipped in during page composition and layout. This meticulous work must be assigned to a professional proofreader who has mastered the various typographic codes used by printers and graphic designers. After working so hard to produce a quality text, this is not the time to lower your guard and allow a misplaced comma to throw you a hook that could compromise your growth. Do you want to improve the quality of your written communications, to breathe life, colour and impact into them? Our writers work miracles when creating original, exclusive and unprecedented content so your administrative documents and web articles will stand out from those of your competitors and capture your target audience. Tell us about your vision, your requirements and your constraints so we can deliver texts with punch that will drive your operations forward. Do you want to enter new linguistic niches? Win new customers? Grow your sales? Would you like a professional opinion? Capitalize on the knowledge, advice and experience of our written communication specialists and language professionals to stimulate your business activities and promote your development initiatives. We will be pleased to analyse your needs and do whatever is necessary to open the door to the markets you seek. Are you looking for a written communications service that places the same value as you do on the texts you publish? Make us part of your team and reap the rewards! Don’t wait another minute: pick up the phone and call +1 514-436-6331. Unlike our competitors, we answer the calls we receive! Would you rather email us your documents and request? Send them to: info@invisibletranslation.com. 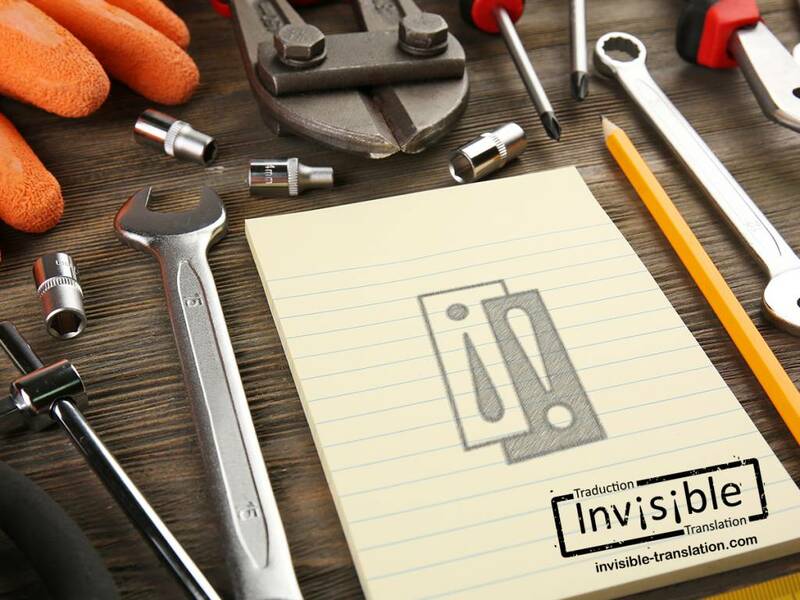 Choosing INVISIBLE Translation translates into visible results!